I love ferns. Growing up we always had fern as a houseplant or in a garden bed. A graceful Boston fern hung from the window in the kitchen. My mom would mist it regularly, occasionally split it when it outgrew its pot, and adorn it with a red cardinal to show her support for our beloved basedball team, the St. Louis Cardinals. When she died, a lovely Boston fern was sent to the funeral home and I tended it for many years. While I no longer grow houseplant ferns, ostrich fern (matteuccia struthiopteris) and senstive fern (onoclea sensibilis) have prominence as a backdrop in my shade garden along my south fence. At first, I was a bit apprehensive about growing ferns. I thought they were finnicky and had to have just the right conditions. While that is true in part (isn’t that true for most plants? 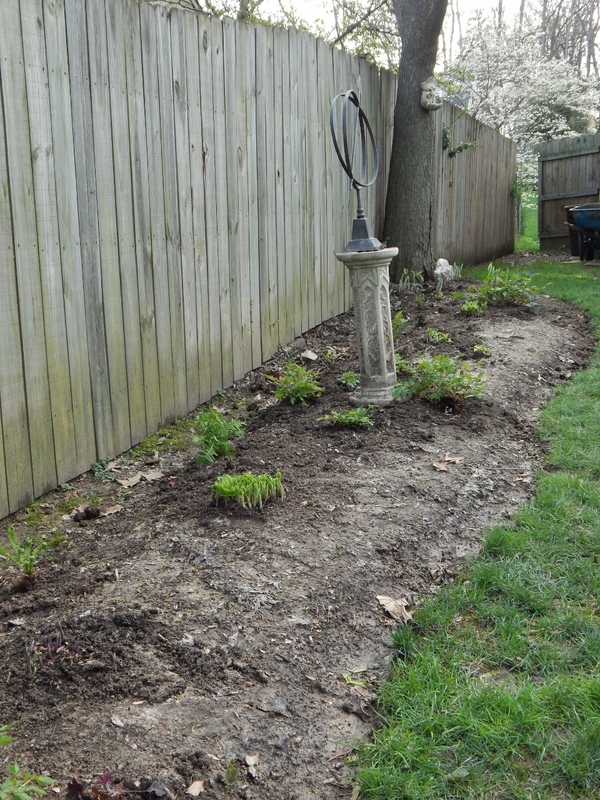 ), I’ve overcome that apprehension and clearly ferns and I have found garden joy. With nearly 12,000 species of ferns worldwide, there’s probably a fern or two that could work in your environment. A couple of years before I put in the shade bed, I bought a couple of ostrich ferns and put them in to see how they would do. 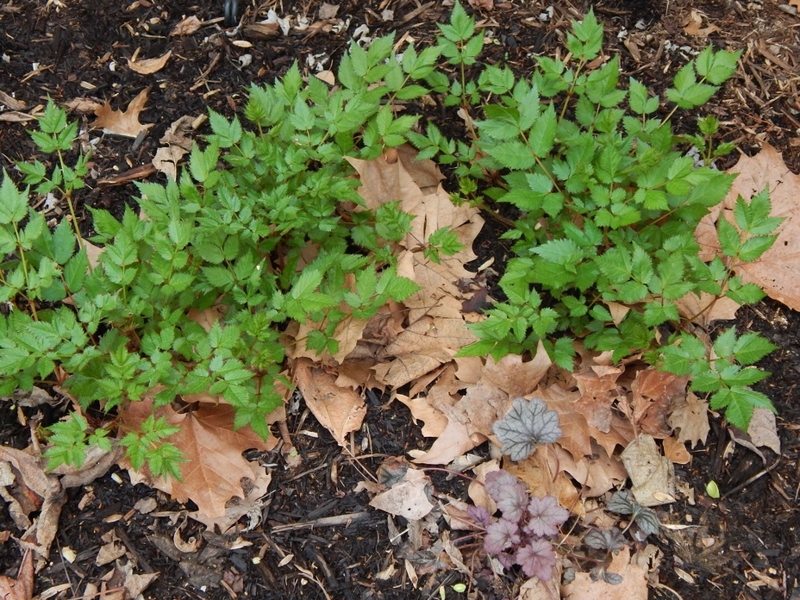 One quickly withered and turned brown while the other barely clung to life. I visited the nursery, asked what was up and was told I probably planted them too deep. 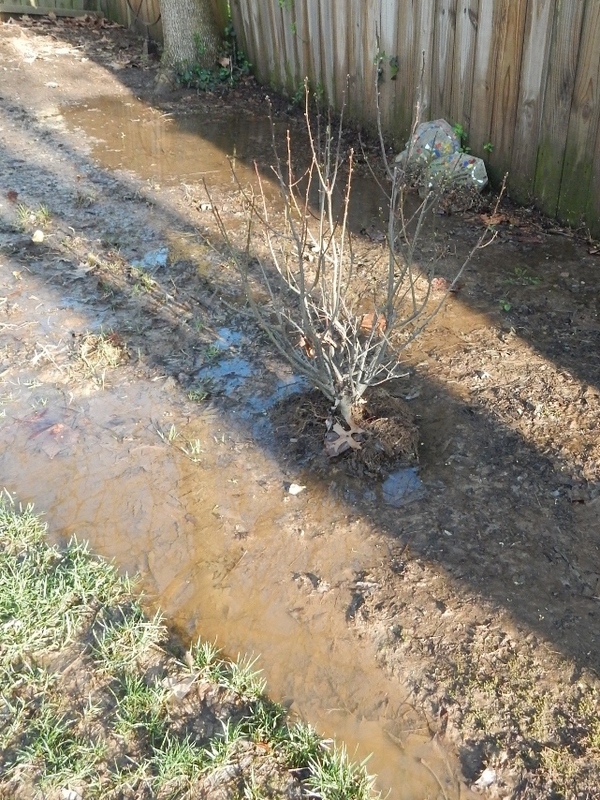 They like to be planted very shallow and I was instructed to dig up the fern and replant it. “I’m pretty sure it’s dead,” I told nursery pro. Don’t worry about it, she reassured, this type of fern is really hardy. Year after year, the arrival of pansies at the nursery signaled to me the onset of spring. Not any more. 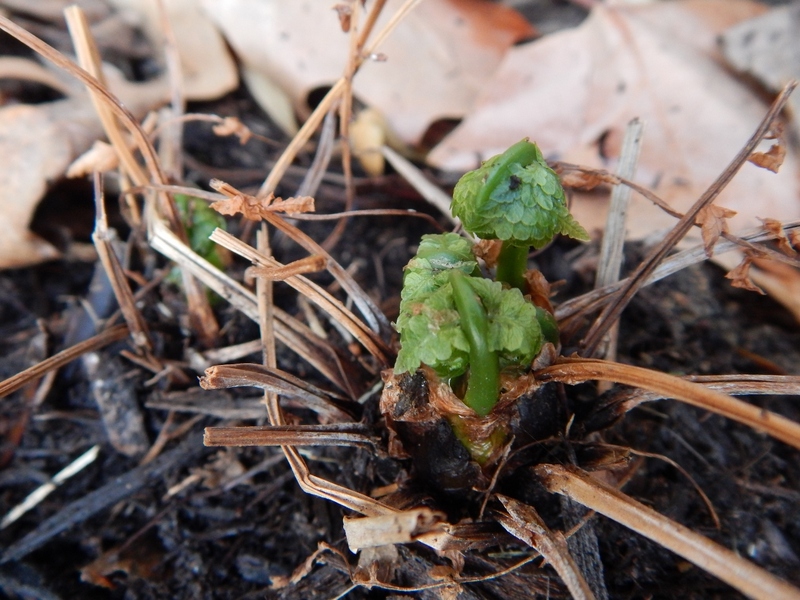 The emergence of a tightly wound fiddlehead tells me spring is on its way. The fiddlehead grows as a response to light. Early spring mornings find me running out before work, coffee in hand, to inspect the progress of the fiddleheads. Throughout the growing season, my ferns send out new fiddleheads, which gracefully become a frond supported on a stipe. A frond is made up of several leaflets, or pinna and the stipe. And a pinnule is a subleaflet of a pinna. 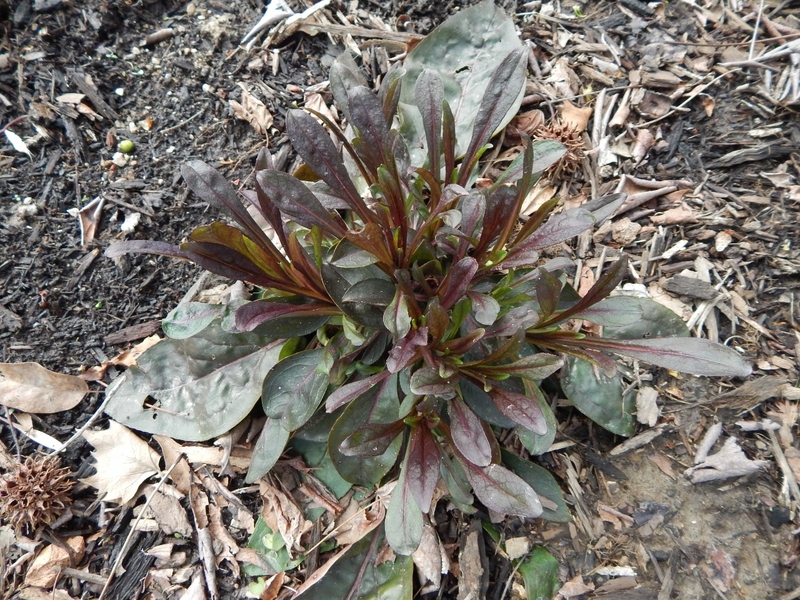 Then there is the blade, which is the expanded leafy part of the frond. The roots of the fern grow on the stipe, which is below the blade. Looking at the photo above you can get the general gist of a fern’s anatomy. Ferns reproduce through spores; their fronds are sterile. As summer nears its exit spores grow on the ferns. This is as detailed as I am going to get on the reproductive cycle of the fern. This is a G-rated site, after all. 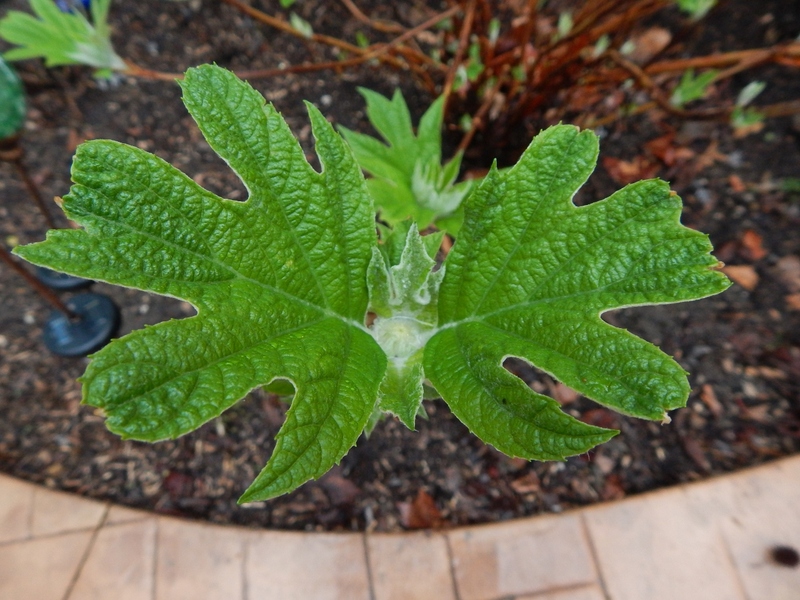 However, you might notice that the underside of a frond has brown dots along the pinna, or leaf. These spore-filled dots are called sori and contain thousands of spores. Neither the sensitive nor the ostrich fern grow spores on the underside of their blades. Instead, they produce what is known as a fertile frond. The beaded fertile fronds will eventually turn a cinnamon brown on the senstive fern. I think these dense clusters that make up a fertile frond look somewhat prehistoric. 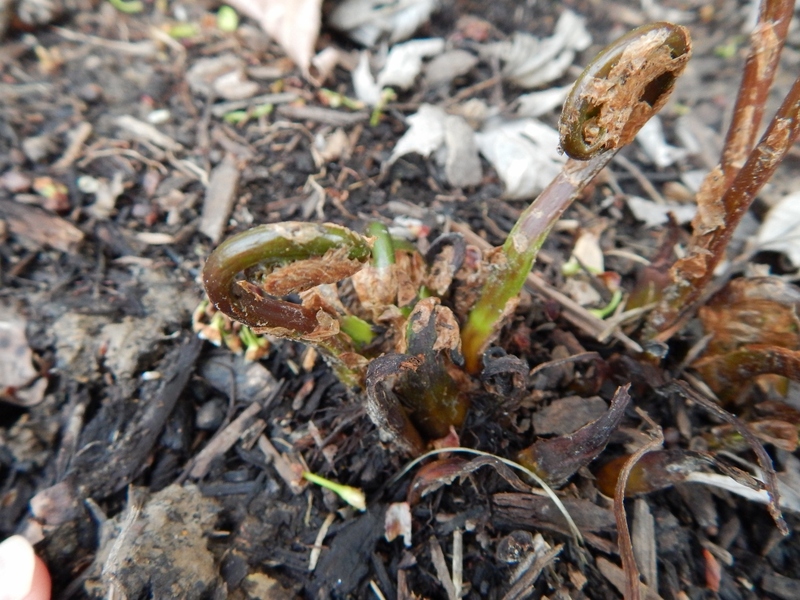 Just like the unfurling fiddlehead, the fertile frond begins to change color in a matter of days. The pictures below were taken about 10 days apart. I’m no longer concerned about the viability of ferns in my gardens. 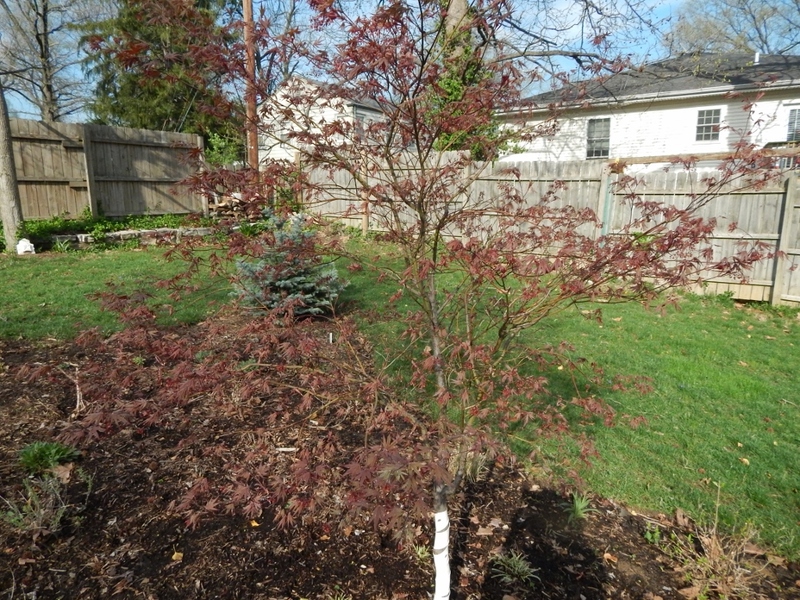 I now have them planted in three areas in the yard and they are very happy. 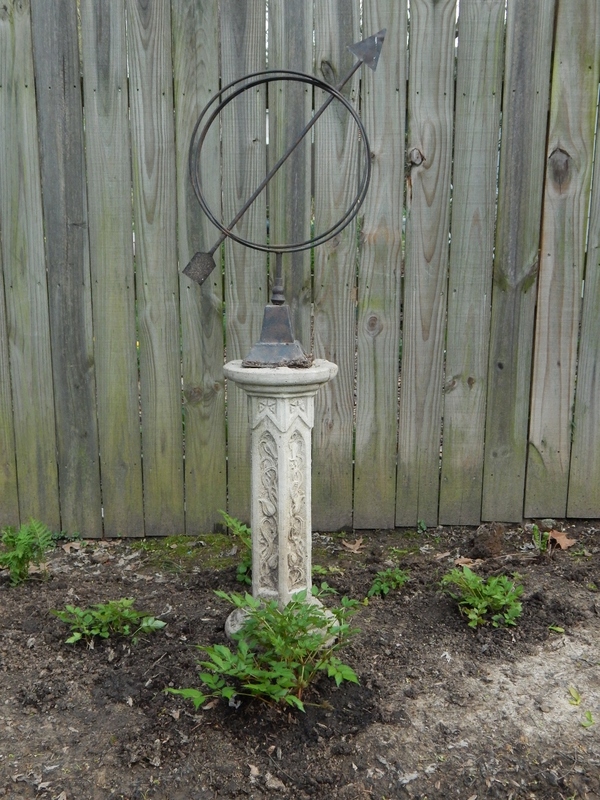 The fern nearest the rain barrel probably gets too much sun but is vigorous nonetheless. Ferns like moisture and humidity. 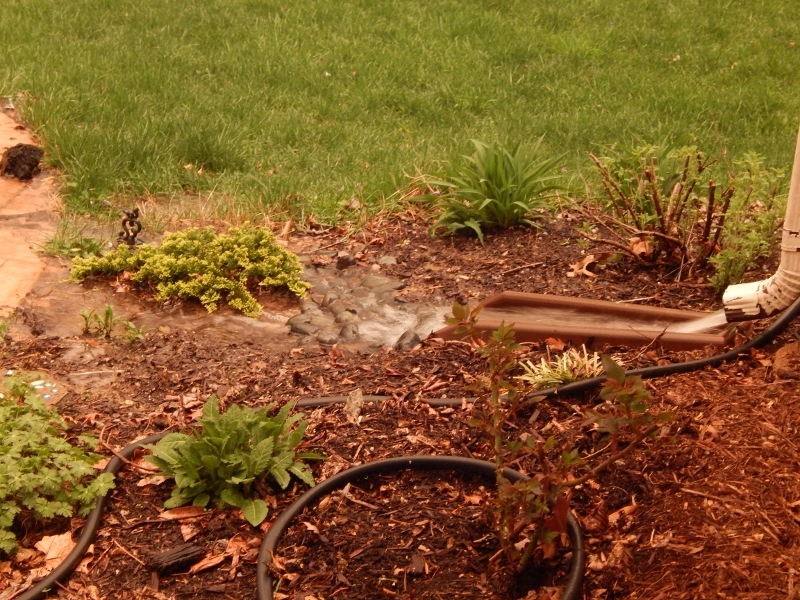 One end of the shade bed sits in a low spot where rain may pool. I regularly mist the fronds with the garden hose and put soaker hoses in the shade bed. In a normal summer, I would water the bed deeply at least once a week. Fortunately this summer we have had plenty of both. To learn more about ferns and their fascinating anatomy, Cornell University has an easy-to-read section on its web site. Categories: Musings | Tags: Ostrich fern, sensitive fern | Permalink. Categories: Inspirations | Tags: Ostrich fern | Permalink.